Enhancing the Impact of Citizen-Led Transparency Initiatives for Good Governance was a program to pilot citizen monitoring of government programs at the local level that could be adopted to enhance the implementation of national programs. This was achieved through: a) grant funding to selected CSOs to pilot social accountability approaches and b) mechanisms developed to facilitate cross-learning and build a shared good governance agenda between stakeholders. Corruption in the Philippines is pervasive and deep-rooted, touching all parts of society. It ranges from petty corruption that citizens encounter frequently when applying for a permit or license to state capture siphoning huge sums of money. Citizen movements against corruption in the majority of PTF-supported countries, including the Phillipines, are fragmented – ranging from highly professional CSOs in large urban centers to tiny initiatives supported by local churches or NGOs scattered across the country. This fragmentation leads to uneven and inconsistent progress on reducing the impact of corruption and poor governance over the long term. A huge opportunity lies in strengthening the intermediary role of networks to scale local efforts to achieve larger-scale impact and sustainability. In 2012, PTF partnered with ANSA-EAP and the Coalition Against Corruption of the Makati Business Club (MBC-CAC) to implement the Australian Aid funded program in two regions – Northern Luzon and Northeastern Mindanao. 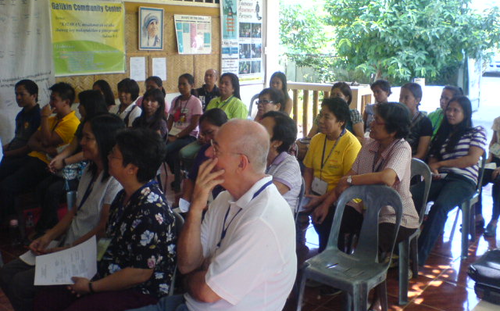 MBC-CAC led the selection of three sub-projects to implement pilot programs on citizen engagement in the Conditional Cash Transfer program of the Philippine government (RECITEin Mangaldan, Pangasinan), and on citizen engagement with local government (KARSA in Tabuk, Kalinga, and CCAGG in Penarrubia, Abra). ANSA-EAP developed training and capacity building programs, provided technical advice, conducted knowledge-sharing workshops, and prepared of a number of knowledge products around the lessons learned through the program. ANSA-EAP also led the creation of a knowledge consortium to bring together CSOs working in social accountability. more positive and productive interactions with government officials. CSOs have become more familiar with social accountability tools had the opportunity to put lessons learned immediately into practice. Likewise, citizen capacity for social accountability activities was built through training, association building, program development and opportunities to engage in practice. Local government responses varied a great deal with some authorities welcoming citizen engagement and others actively resisting it. Overall, however, the experience in the sub-projects was positive, creating the atmosphere for constructive engagement and demonstrating what can be achieved through it. a bloggers event using social media to support social accountability. Technical and financial support should go hand-in-hand in project design and implementation phases. The capacity of local CSOs varies a great deal as does their familiarity with social accountability tools. Mentoring support to target CSO grantees and communicating comments during the subproject design stage resulted in proposals with stronger and more context-suitable social accountability approaches. Working at the community level often takes more time than planned. Changing the mind of local officials who do not welcome civil society participation in local affairs is sometimes not possible, and always takes time. The general experience of the sub-project grantees, however, points to the huge potential in terms of getting people actively involved in governance and social accountability work. Give priority to funding projects that pursue scaling-up objectives, rather than reach. A clear example is the rural road monitoring sub-project implemented by PAKISAMA. There must be hundreds of similar farm-to-market roads being implemented each year around the country. There is clearly much scope for scale-up. However, it would require extensive engagement with the Department of Agriculture to make social accountability a standard feature of its rural roads program and the financial resources for doing so are currently not available, rendering the prospects of successful scale up small. Partnership building and strategic planning workshops are critical and result in (a) more in-depth assessment of the local social accountability contexts and organizational and technical capacities of target grantees, (b) learning/sharing of monitoring initiatives at the local level from other groups that participated in the events, and (c) leveling off on the overall results framework of the program. Collaboration with grantees in the design and conduct of inception meetings ensured that all stakeholders (grantees’, volunteers, and local partners) were oriented on their respective sub-projects and their roles as social accountability actors. 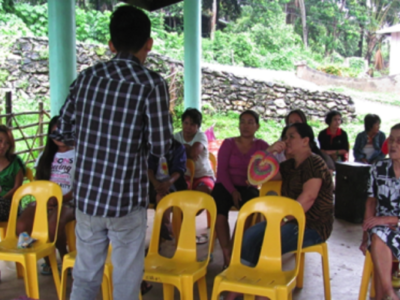 These one-day, field-based meetings also provided venues for contact building with local government officials and frontline service providers who were identified as critical partners or actors under the grantees’ planned interventions. 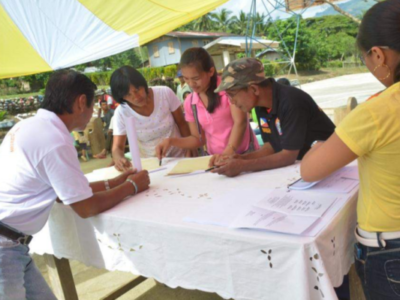 This sub-project trained citizens to monitor the implementation of Farm to Market Road (FMR) projects in the provinces of Veruela, Agusan Del Norte and Agusan Del Sur. The goal was to build the capacity of ordinary citizens to effectively monitor government road construction projects and thereby creating “demand” for quality construction and on-time completion of these infrastructure projects. 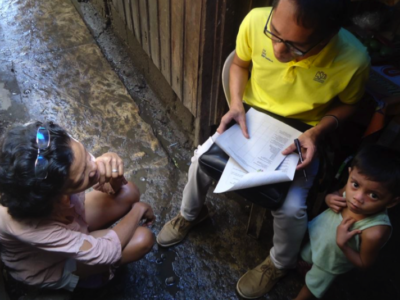 This sub-project aimed to solve problems within the Conditional Cash Transfer (CCT) Program in the Philippines through a better understanding of ‘benefit gaps’ in the program and its impact on reducing poverty. Activities employed included the signing of memorandum of understanding (MoU) with the different partner agencies, passing of a resolution, focus group discussions with the different stakeholders, capacity-building sessions with the monitoring and research volunteers and public presentations. The sub-project produced a report detailing beneficiary concerns with the program and, where possible, findings to back up their claims. 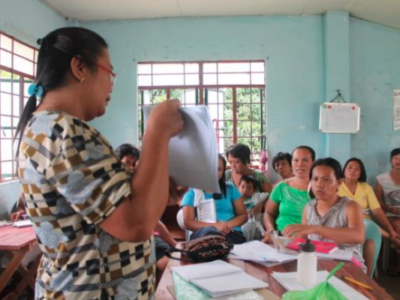 This sub-project developed a mechanism for citizens to promote greater transparency and accountability for more efficient and effective service delivery and community development initiatives undertaken under the Philippines Conditional Cash Transfer (CCT) Program. Selected Parent Leaders of the CCT program were trained on social accountability approaches and guided on their application to monitor health service delivery and the selection of local leaders. The trained Parent Leaders provided a core group of active citizens with the skills, knowledge and confidence to pursue social accountability and continue to grow the practice at the community level. This sub-project aimed to increase transparency and accountability in local governance by empowering citizens, building the capacity of officials to partner with their people, and encouraging the local governments to form Development Councils with CSO members. 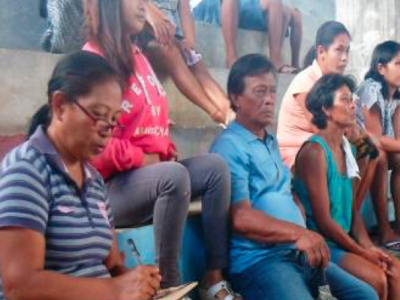 This sub-project aimed to start citizen engagement activities in five barangays of Tabuk City by establishing barangay monitoring teams and hosting a series of of trainings and seminar workshops for the newly created monitoring teams, barangay government officials and the general public.